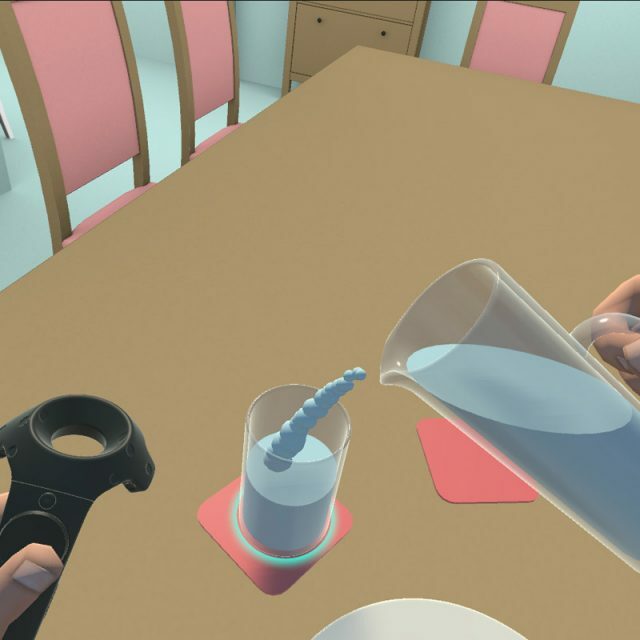 This is a prototype of a virtual reality rehabilitation software sponsored by Fakeeh hospital in Saudi Arabia. 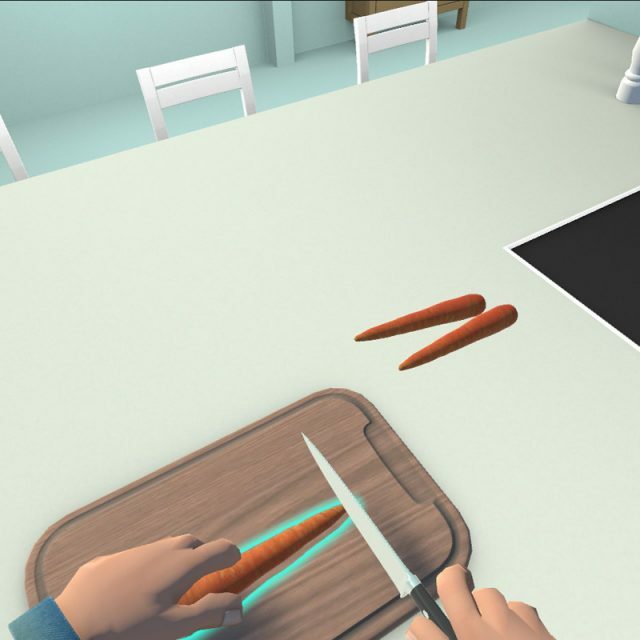 The goal of the project was to test the success of VR systems for the rehabilitation of stroke patients struggling with everyday tasks. 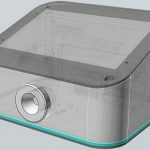 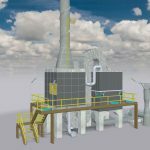 The production of the finished project is expected to start soon. 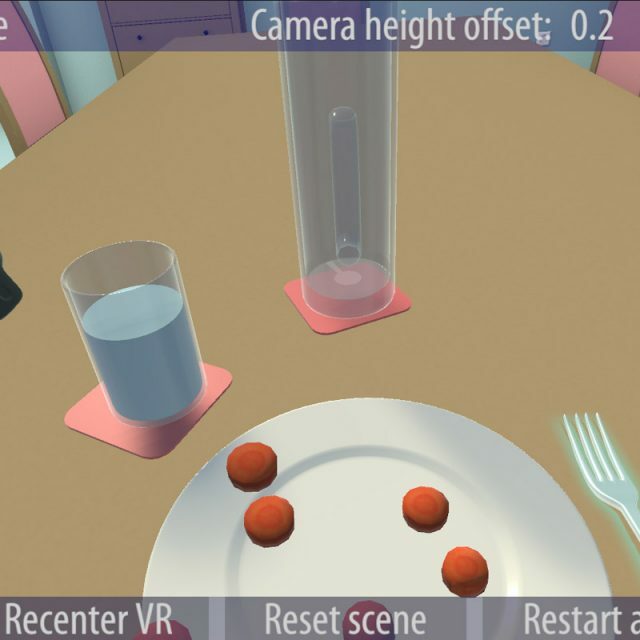 The application was developed for the HTC Vive, since it is currently the best platform for room scale VR experiences. 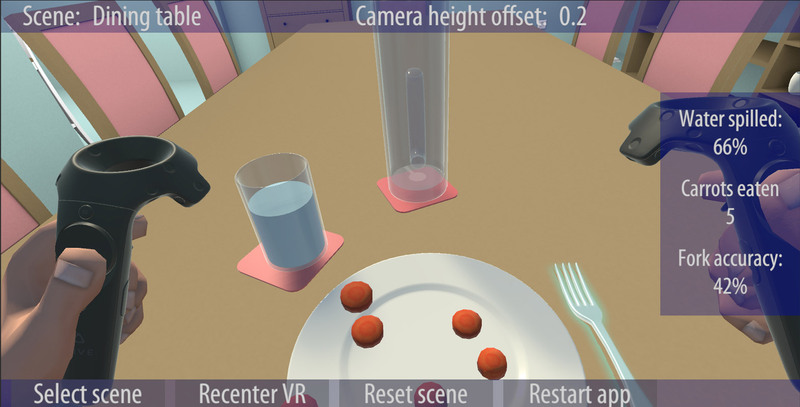 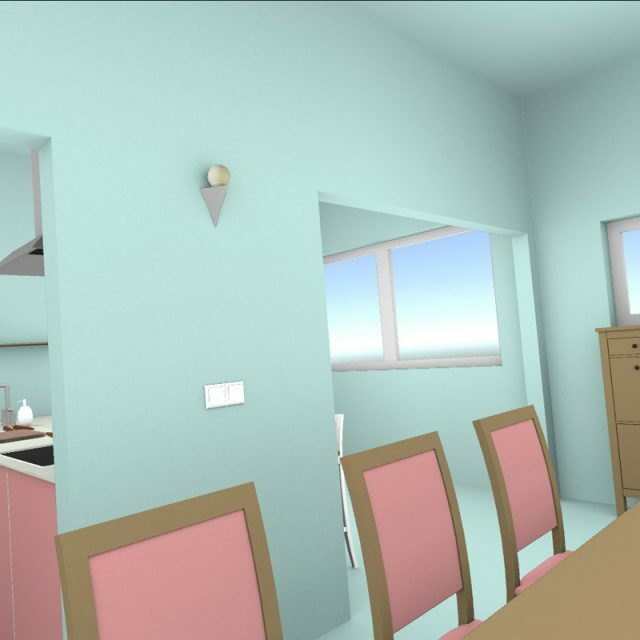 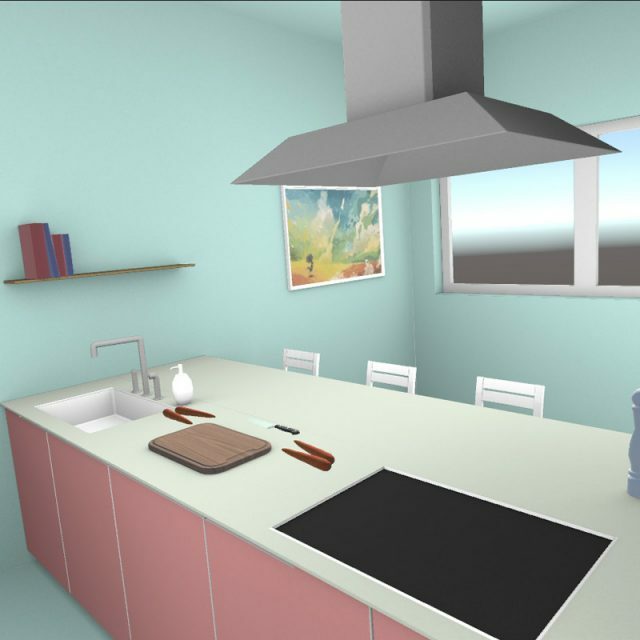 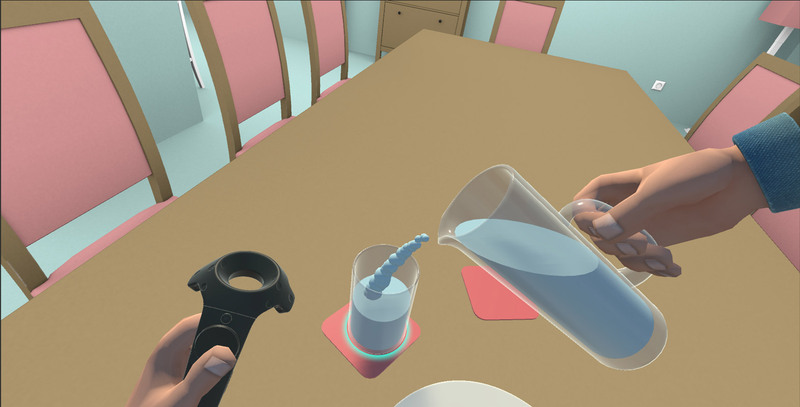 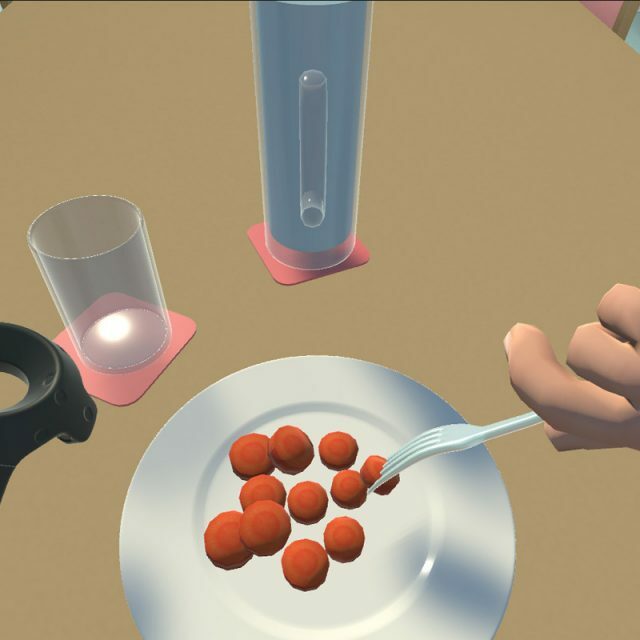 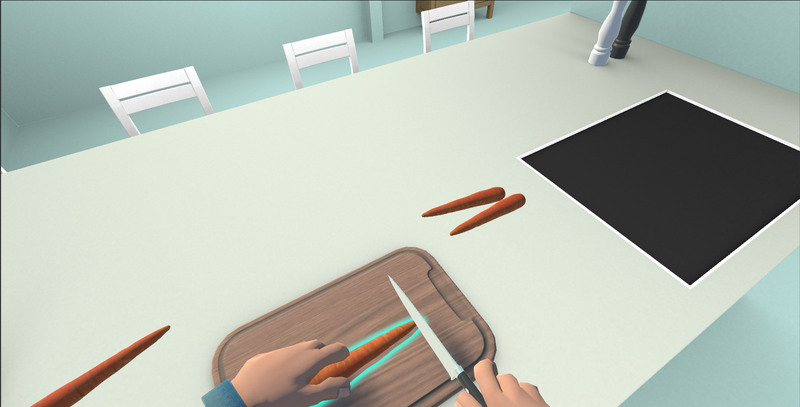 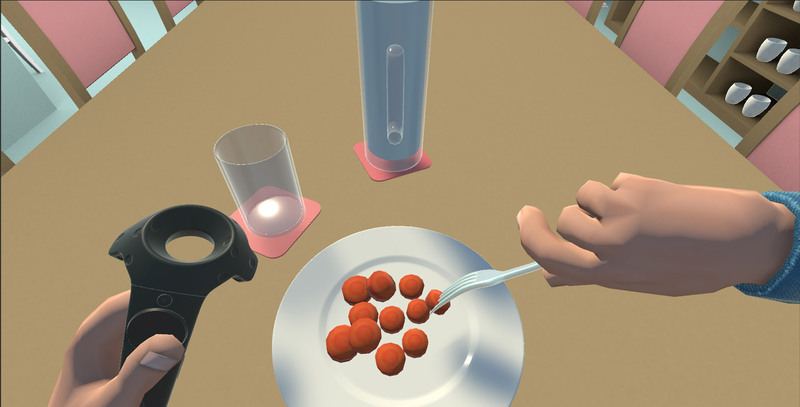 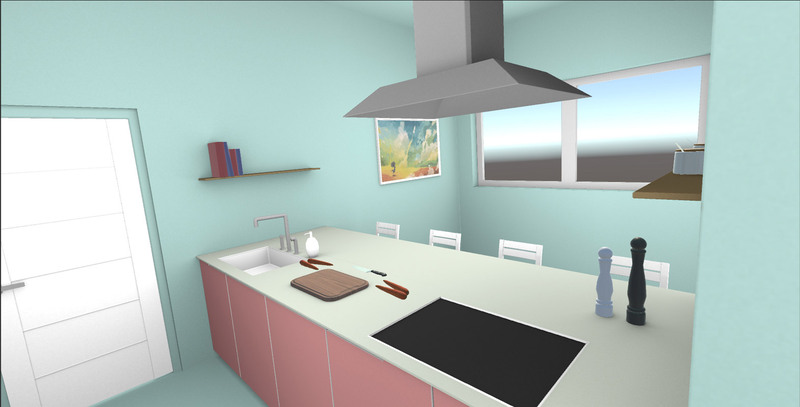 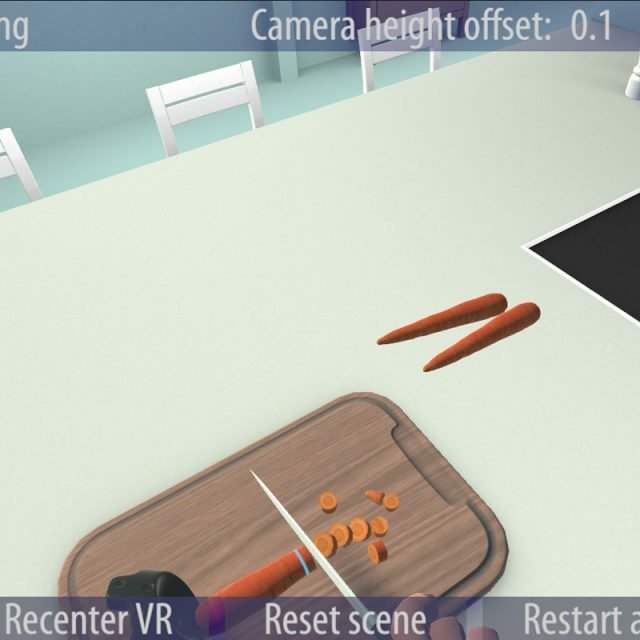 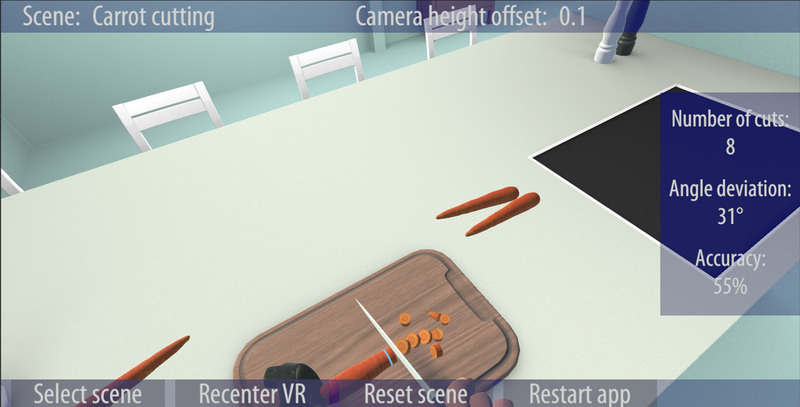 Patients perform simple tasks in a virtual home: cutting carrots with a kitchen knife, using a fork and pouring water from a pitcher into a glass. 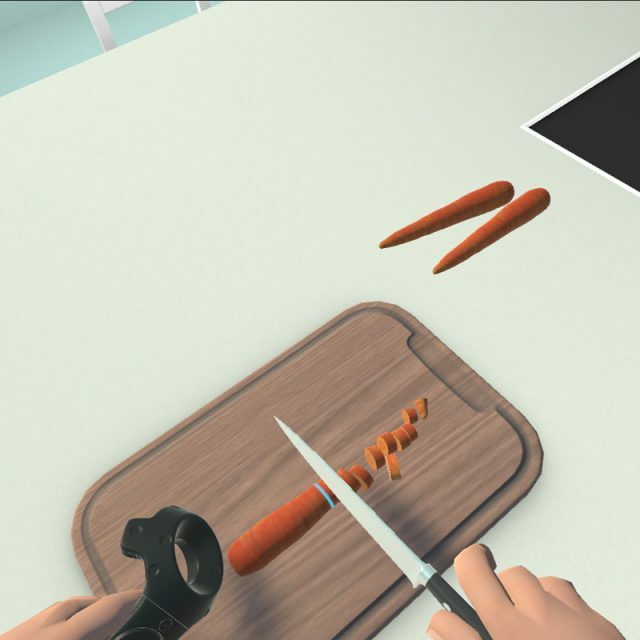 All of these these actions should appear to be more successful to the patient to stimulate positive feedback, which helps the relearning process, while the actual performance can be monitored by the staff on the operator monitor. 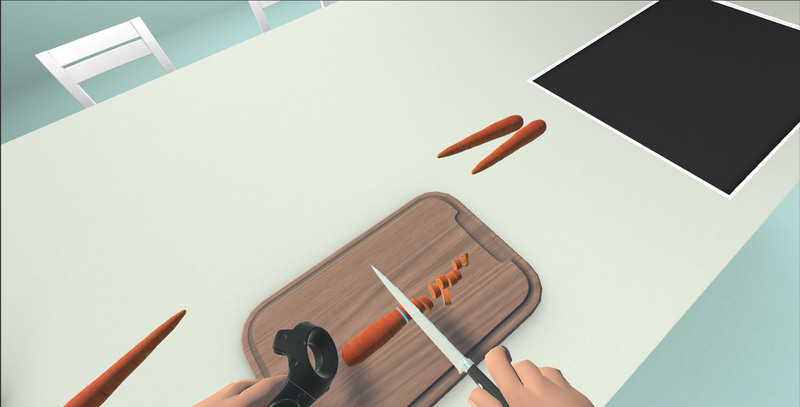 We also implemented features that allowed right and left handed users to complete tasks, depending on which controller they use. 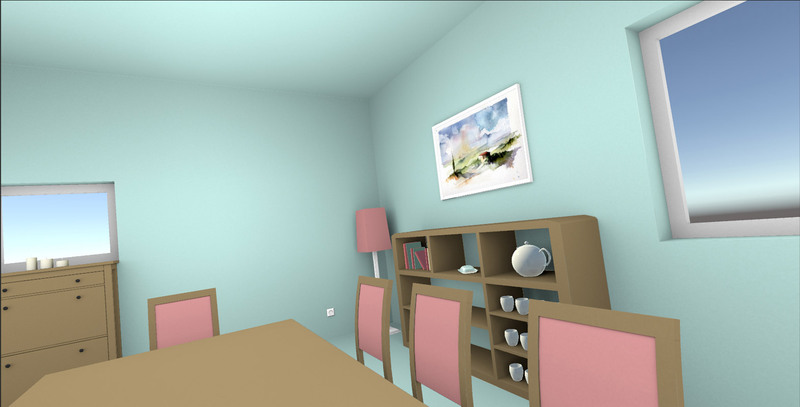 The graphic style was chosen specifically to contain gentle colors while still being colorful along with soft shading. 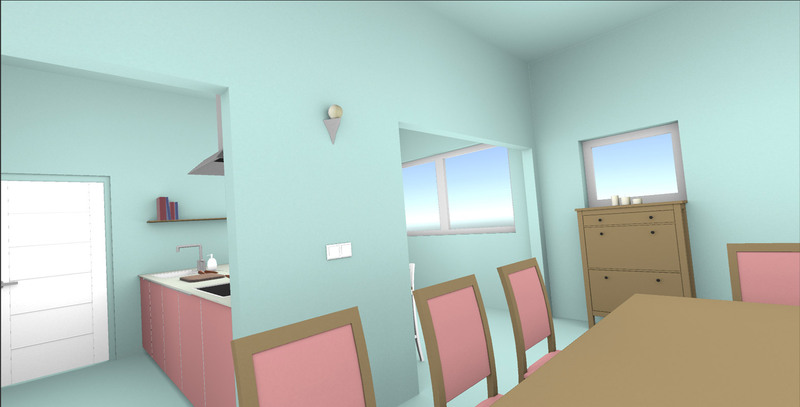 This gives the environment a more pleasant feel while still being thoroughly readable. 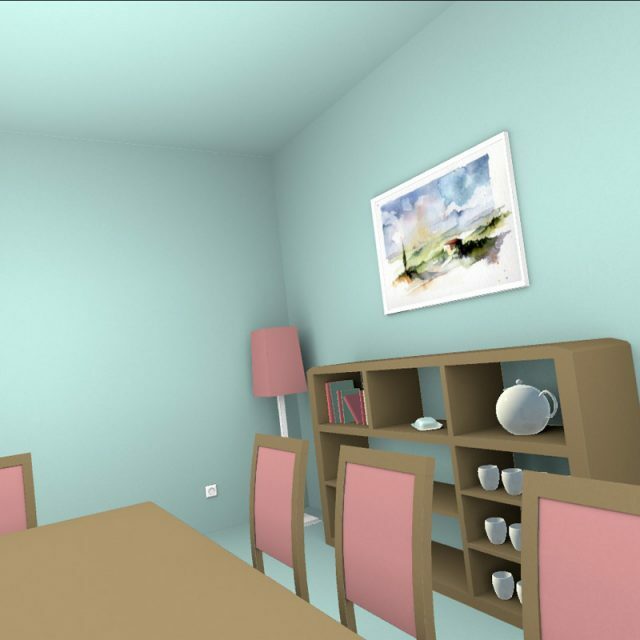 In the future we are planning to add several more activities, polish of existing activities and environment, further development of the operator user interface, with the integration of a patient database to monitor his performance and improvement.